The days of waiting past your appointment time to see the dentist are long gone. Forget all of those tiny, dingy waiting rooms and rude staffers behind glass windows who only know you by your insurance carrier. It’s time to enter an environment where your family dentist serves you. The polite and friendly staff at Princeton Park Dental Associates work hard to schedule appointments that fit into your schedule instead of forcing you in at an inconvenient time. When looking for a family dentist, patients desire a knowledgeable professional who will take their priorities and concerns into account. That is precisely the type of concierge dental service that Dr. Eric Abrams and his staff provide to each and every client. At Princeton Park Dental, you’re not just an 11:15 appointment; you can count on being greeted by name with a smile. You will find our sitting room elegant, clean and comfortable. When you are taken back to the treatment rooms you will find them immaculately clean and outfitted with the latest technology designed to maximize your comfort while protecting your health. The Princeton Park Dental team is available to serve you and your entire family. Dr. Abrams’ primary concerns are your comfort and overall oral health. He offers a wide variety of services and is committed to providing you with excellence in dental care. Regardless if you’re searching for a family dentist, you are looking into cosmetic dental services or have a dental emergency, Dr. Abrams is dedicated to providing you with the personalized care you need. Make your appointment today and you’ll not only be on your way to a gorgeous, healthy smile, but you’ll also make friends that will be your dental advocates for life. 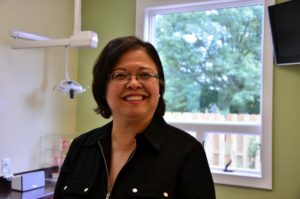 Mitzi has been a crucial part of Princeton Park Dental Associates since 1988. She received a Doctor of Medical Dentistry from the University of The Philippines in 1980 and is a Registered Dental Assistant with the State of New Jersey. Mitzi takes pride in providing quality patient care in all facets of her role as office manager. When she is not in the office Mitzi enjoys antiquing and knitting. Cherlene joined the practice as a R.D.H. in 2011. She began her career in the dental field in 2005 as a Dental Assistant/Radiology Technician. 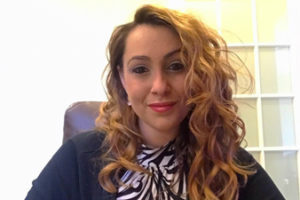 She attended Middlesex County College where she graduated with honors and received a perfect score on the Dental Hygiene North East Regional Boards. Cherlene continually strives to provide our patients with the best quality of care and to expand her skills through continuing education. In her free time, Cherlene enjoys spending time with her husband and their young children. 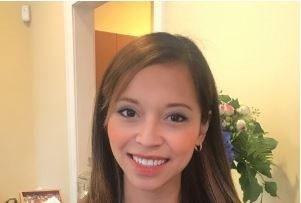 Jessica has joined our practice in February 2016. Jessica is our first point of contact as you walk into the office. She takes pride in ensuring that each patient is greeted with a smile. She also strives to provide patients with the upmost support regarding insurance, appointments, dental services, and more! When Jessica is not in the office, she enjoys working out, going to the movies, trying new restaurants, and spending time with her two daughters.